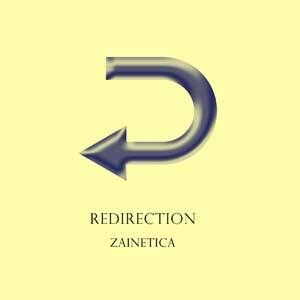 Redirection is Zainetica's fourth release on Boltfish and a superb full length album. With each track flowing seamlessly into the next this album packs as much punch as you'd expect from Zainetica whilst also offering some superb melody, glitchy atmosphere and razor-sharp beats. We think it's Zainetica's finest release yet, but don't just take our word for it: grab a copy and judge for yourself. "This is electronic music at its cleverest and most human." "Another accomplished release by Rednetic strong man and founder Zainetica. This time around producing an excellent album for fellow label tycoons Mint and Cheju of Boltfish fame. The pure quality of this man’s productions in combination with the pace at which the material is assembled never ceases to amaze and "Redirection" is definitely not an exception. There are fourteen solid electronic tracks and as many possibilities for audio enjoyment." "While Redirection is only Zainetica’s third album released on CD, London-based artist Mark Streatfield has, since Escaping Dust (2003), accumulated an impressive body of work, from MP3-only EPs and albums on labels such as Boltfish, IVDT, Enpeg or Laced Milk Technologies, to countless compilation contributions. He has also been running his own imprint, the ever-excellent Rednetic, releasing music from the likes of Joseph Auer, Mint, Utility Player, Cheju and The Vizier of Damascus. Streatfield’s first foray into music dates back to the drum’n’bass days, but, in recent years, he progressively moved toward gentler terrains. His debut album, Escaping Dust, was a masterful exercise in classic electronica, with echoes of early Black Dog, Beaumont Hannant or Ritchie Hawtin giving it a solid base. Redirection shows very similar affiliations as Streatfield serves subtle melodies wrapped in beautiful analogue soundscapes and organic textures. Yet, the general pastoral tone of this record is often interrupted with more urban emissions, especially with pieces such as Dolorous, MI, Redirection or Divided adding a considerable amount of grit to this otherwise rather corporeal collection. As he assembles corrosive glitches and harsh electronic textures over angular rhythmic sections, Streatfield almost imperceptibly redefines his musical scope, incorporating new sounds and ambiences into his blend of classic Detroit techno and early Warp-era electronica. Although the music appears effortless, as each track gently flows into the next, the level of complexity is high. Working from rudimentary sources, Streatfield builds his compositions bit by bit, applying layers with parsimony to focus on the chore structure of a piece and avoid any distracting elements. Redirection is however anything but austere. Streatfield opts for warm soundscapes and sprawling atmospherics to offset the minimal structures he toys with, alternating between vivid formations (Inception, Dolorous, Concept, Hidden, Daylight) and more subdued moments (Central, Maglev, Close), and even dabbles with folk elements on the delicate Underfoot, on which a treated acoustic guitar lands on a abrasive bed of white noise and distrotions. A logical evolution in Streatfield’s prolific body of work, Redirection is an incredibly diverse, yet focused and consistent record. Streatfield is never shy of showing off his influences, but, as he continues to gain maturity and confidence, his music remains truly original and fresh. This is electronic music at its cleverest and most human." "Boltfish kick off in 2007 with a superb long-player from Rednetic boss and prolific musician Zainetica. A seriously fine collection of tracks that blur the boundaries between Electronica, Electro and Techno with a great deal of ease and skill. Predominantly synth-based sounds use melody and depth to convey a melancholy sound for the most part but there are some truly crisp and upbeat cuts as well. His use of Detroit influenced pads and chords works a treat and you get a warm feeling even though this is machine music in its most pure form. Once again Boltfish provide us with a reason to be cheerful... buy this immediately as it's ace! Recommended"
"Zainetica, a.k.a. Mark Streatfield, is from london where he creates his music that was released on labels as Clickclickdrone, enpeg, kahvi, Lacedmilk, subvariant, rednetic, octoberman and ivdt (and then I think: gosh so many labels that I never heard of!). And still Zainetica has a lot of music, since his 'Redirection' (from what, me thinks) has fourteen tracks that span almost the entire length of a CD, which could all to easily lead to the impression that is not very critical as to what to release. Which is sadly true. His music is closer to Expanding and Highpoint Lowlife than the previous two, even when some more single minded and less complex, but it has mild keyboard lines. Techno plays a bigger role too, at least in some of the pieces but as non-dancer I can't say whether they would all work very well on the dancefloor. It's certainly alright, this music, but I must admit that sitting through the entire length of the release was a bit much for me. No prizes for originality, but done with flare."